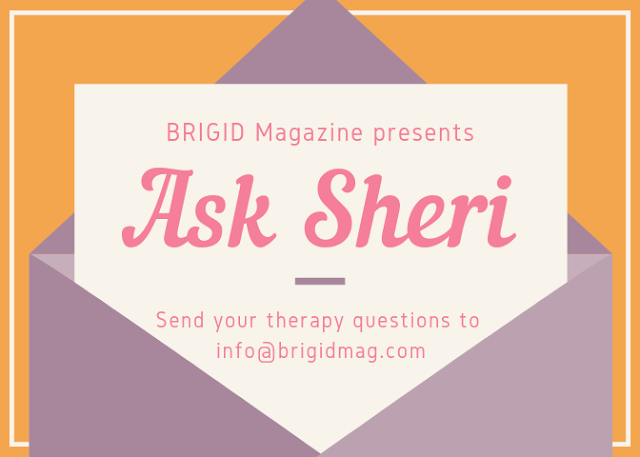 Home Ask Sheri Psychology Ask Sheri: Can My Relationship Be Salvaged? Ask Sheri: Can My Relationship Be Salvaged? How does one discern between a relationship which can be saved with some work, and a relationship that is completely doomed? Are there ways to distinguish between people who are trying to become better and improve the relationship, and people who are just telling you what you want to hear in order to keep a status quo? A pervasive concern for couples that have reached an impasse is discerning whether the relationship can be salvaged. Typically when a couple comes into therapy there is discordant enthusiasm over the process. One partner may be eager for change while the other fears disrupting the safe familiarity afforded by the relational dysfunction. Every person's threshold for pain contributes to what has been allowed, enabled, and tolerated in a relationship. Often people who present with histories of abuse are groomed to accommodate detrimental relational dynamics. With healing and growth, one romantic partner might awaken to the reality of what is relationally injurious while the other partner remains stagnant. No longer amenable to subjugation or deprivation, the conscious partner strives to establish new beneficial conditions. If there is an earnest shared willingness towards reconciliation, with the understanding that destructive patterns need to be dismantled, than a reparative process may ensue. However achieving this end is a daunting task. The quest for secure regulated mature attachment requires a cohesive sense of self, emotional resiliency, self-love, receptivity and an ethical core. Unfortunately many people present with anxious, ambivalent, and avoidant attachment styles rooted in the absence of parental attunement and chronic abuse. Since we are biologically programmed to form emotional bonds in order to survive and thrive, disruptions in early bonding catalyze protective psychological defences. These core attachment wounds can fuel addictive disorders, approach-avoidance dynamics, and power-submissive patterns. In these cases the tenacious upholding of sundry forms of impulsive acting out and defensive posturing serves as a buffer against unhealed relational injuries. To evolve from the desperate place of attachment rooted in developmental need and survival fear, to volitional intentional intimate bonding, a mature adult self must emerge. For this to happen the willingness to heal oneself so that a loving, sustaining bond with another can occur is essential. Gauging the depth of one's sincerity with this intention is dependent on more than just promising overtures. There needs to be demonstrable effort. Words not backed by behaviour will further corrode the integrity of the bond, exacerbating resentments and disillusionment. Yet as Buddhism imparts, with consciousness comes suffering. We struggle with our natural inclination to recoil from pain, and the necessity of facing the grief and rage intrinsic to the primal projections fuelling relational difficulties. Nevertheless, in order to discern what old wounds and betrayals are being enacted in one's relationship, one must be willing to endure a process of uncovering a history of interpersonal harm. Plato reminds us that this fusion through love is the birth of wholeness, the innate human drive for balance and the quest for meaning discovered through complete authenticity. It is through our afflictions and our courage to love that we can potentially heal one another.